Interested in working on a unique film. 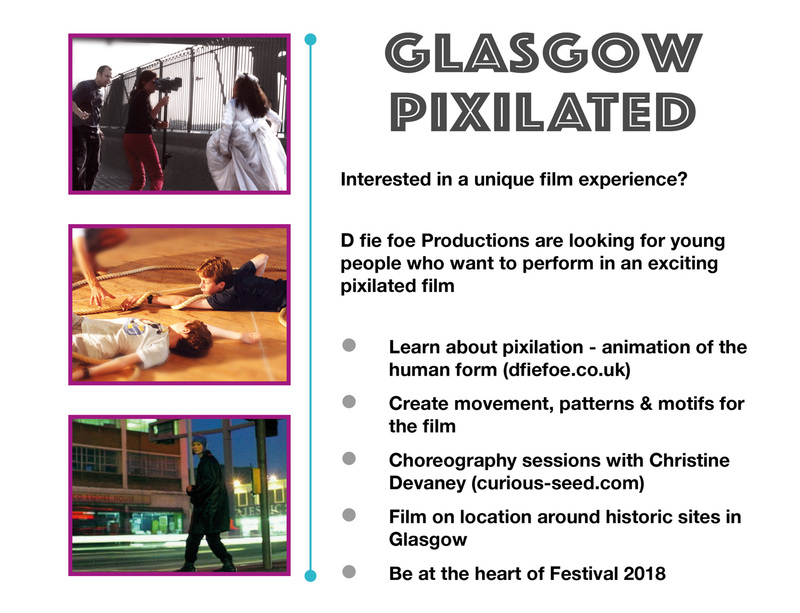 D fie foe and Glasgow Film Theatre are looking for young people who want to perform in an exciting pixilated film in April. Stay in touch with all the creative media we are producing from our Scottish Studio!